$24 per night (includes 2 people). Additional adult $12, child (5-15yrs) $6, infant (0-4yrs) free. A 2 night minimum stay applies during NSW and QLD school holidays and NSW long weekends. Check in 12pm, check out 10am. Fees may apply for late check outs. A maximum of 2 sites can be booked in one customer name. This is a remote campground, so please arrive well-prepared. 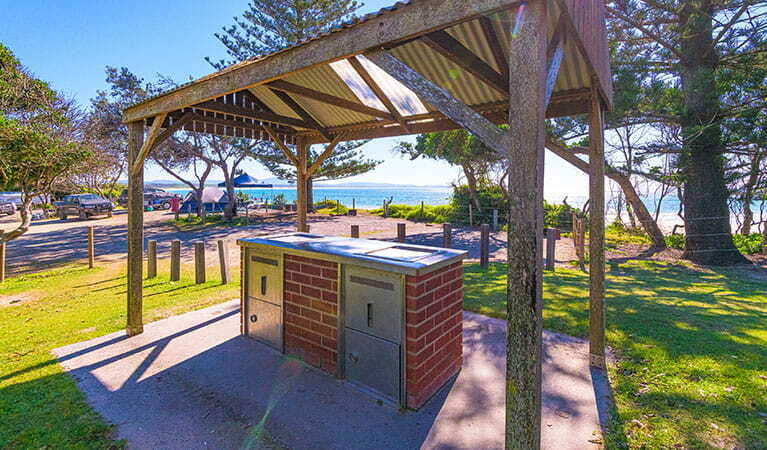 You can buy basic supplies in Brooms Head village 12.5km away. Sandon village is on the southern side of the Sandon River and is only reachable by travelling along the beach from Minnie Water or by boat. 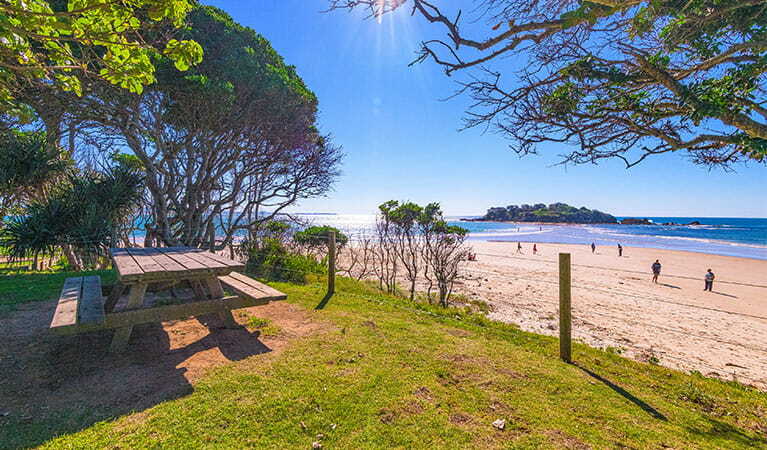 Perched on a sandy peninsular by the Sandon River mouth, Sandon River campground presents you with river on one side and protected ocean on the other. 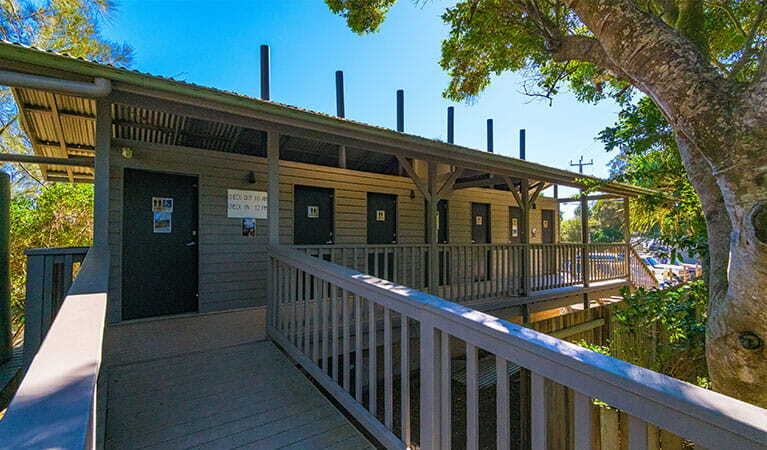 Not only does this mean million-dollar views, but easy access for fishing, swimming and boating. After you’ve chosen your caravan, trailer or tent site, why not share a barbecue with your neighbours? 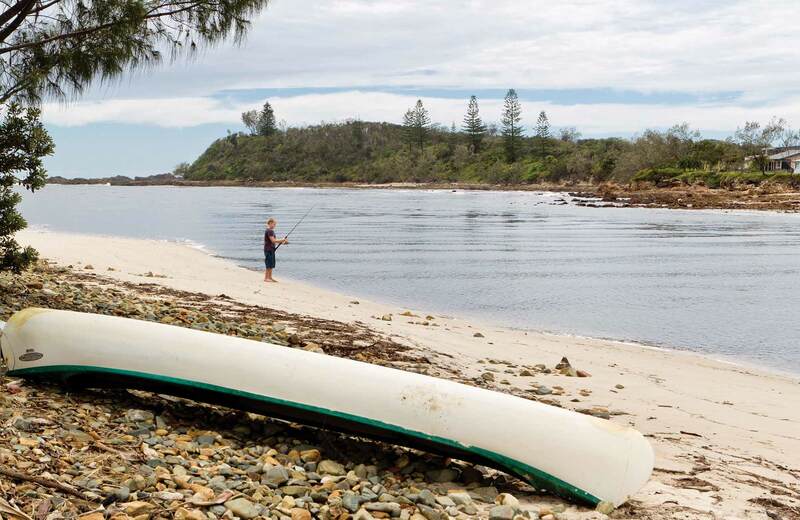 Use the boat ramp and head out fishing or for a spot of canoeing, or find out about the site’s rich Aboriginal and European cultural heritage from the informative panels around the campground. If you feel like getting your toes wet, head to the beach for a quick dip. 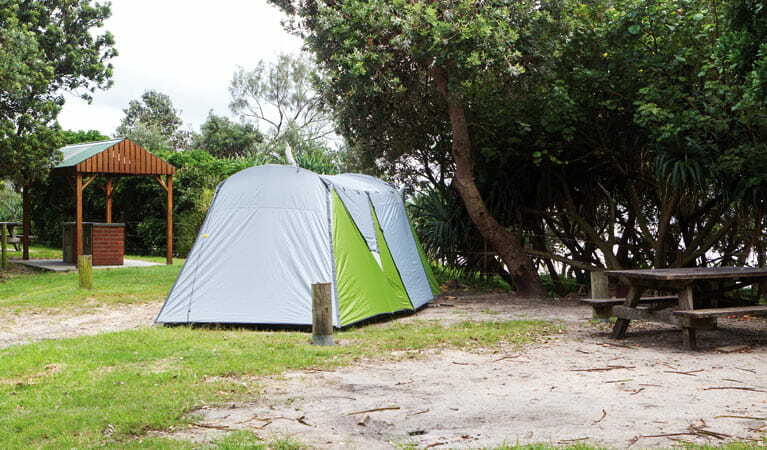 This campground is also a great place to stop over when hiking the multi-day Yuraygir coastal walk.